A healthy diet should be a welcome addition to each one’s diet and it’s definitely of prime importance when you are planning to conceive. 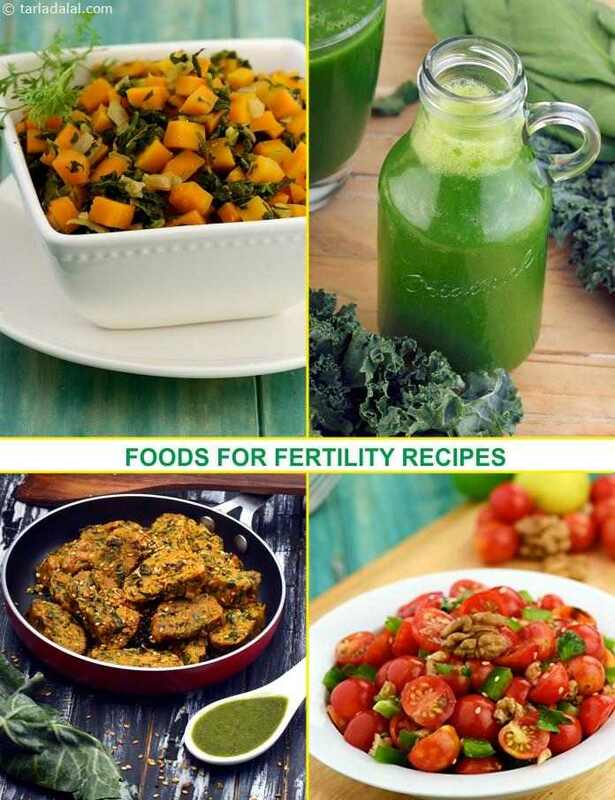 Numerous studies have shown diet plays a key role in boosting fertility. The top ingredient on this diet list is the addition of ANTIOXIDANTS like vitamins, minerals and other nutrients which help to protect the cells of the body from free radical damage. Free radicals, are molecules which are produced in our body as a result of daily activities, stress, pollution etc. The higher the number of free radicals in the body, the higher the damage to the cells of body. The different antioxidants from the diet help towards engulfing these free radicals and thus keeping the cells of the egg and sperm healthy. They work towards maintaining the health of the cells of reproductive organs as well. The different antioxidants which needs to be focused are Vitamin C Rich, Vitamin E Rich, Vitamin A Rich, folic acid and lipoic acid. Turn to greens, fresh veggies, fruits, whole cereals, bran to have a dose of these Antioxidant Rich. Try recipe like Broccoli and Zucchini in Red Capsicum Gravy, Walnut and Cherry Tomato Salad, Broccoli Broth, Palak Kale and Apple Juice etc. Follow the principle of Antioxidants = Fertility as a path to pregnancy.